Invite, inspire and encourage. There’s not much better than hitting the water and fishing with your best mates. It’s a refreshing and revitalising experience where you get to spend quality time with your most trusted buddies and make light of life’s challenges with jokes and hearty laughs. It’s an even better experience if there’s plenty of fishing action. However, many of our closest mates don’t necessarily share the same passion for fishing that we do. Here are a few ways to inspire less experienced mates and get them hooked on fishing. The number one rule is to have fun. Even if you intend to fish seriously, don’t convey an intense vibe to inexperienced mates. Getting outdoors and away from the mundane duties of life is an escape for most people and any overt pressure to catch fish is the last thing they will want to experience. Stay positive and encourage your mates. Give them kudos when they make great casts and celebrate when they catch fish! Enthusiasm and excitement will rub off, so have fun and create an upbeat, fun, and relaxing environment. 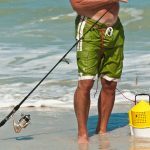 Weigh up the experience level of your mates and choose their fishing outfits and fishing techniques based on this judgement. 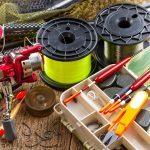 Keep fishing gear and techniques as basic and straightforward as possible. Spinning outfits are easy to use and are versatile for both bait and lure fishing applications. For lure fishing, select simple lures that possess plenty of inherent action and only require a steady retrieve. Overgun the tackle slightly to compensate for inexperienced fighting or landing techniques. Heavier lines, hooks, and leaders will provide added insurance for getting fish to the net. 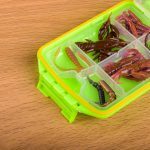 Be organised so that fishing outings flow smoothly. Don’t let any silly oversight dampen the experience or make fishing difficult. Schedule in bonus experiences such as visiting a hidden waterfall or creek, spotting crocodile or dolphins, or simply pull up to a marina for a feed or coffee. 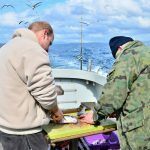 These non-fishing activities add an additional level of excitement and pleasure and are great backup options if the fishing is slow. One sure way to impress you mates and ensure they have a great time is to catch fish. 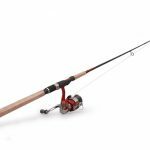 Bait fishing will usually give you the best chance of getting fish to the net, but lure fishing can also be a rewarding and memorable experience for amateur anglers. 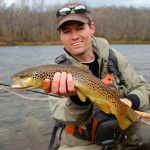 Catching fish is the most difficult aspect of any fishing outing, so try to choose reliable locations where you’ve had previous success. Keep in mind that most of your mates are keen to catch any fish of any size. This is not the time to be taking risks and hunting for rare or elusive trophy fish. Turn the entire fishing outing into an adventure. Whether you catch fish or not, create a positive and memorable experience. If you do catch fish, bag a few and cook them up. Your mates will be stoked with the rewarding experience of eating their own catch. Share your recipes OnDECK. Don’t forget to relax and reflect on the day’s events at the pub or at dinner. Half the fun of fishing with your mates is creating great memories of exciting and hilarious moments. If they enjoy the entire experience, they’ll definitely be keen for more. Is there anything you would like to add to this article? Share your thoughts with everyone through the comments section below.